Star Wars: The Last Jedi’s new trailer hit the web last night, and here are 12 things we think we’ve learned about the upcoming movie’s plot. WARNING: There may be SPOILERS ahead (although, I might be totally wrong about everything…). Back when The Force Awakens came out, a lot of noise was made about Gwendoline Christie’s kickass chrome Stormtrooper, Captain Phasma, yet people were left disappointed with the very little screen time she had. She was even made a bit of a fool of by John Boyega’s Finn. However, we were assured that we will get to see more from her in The Last Jedi, and it looks to be the case, at least if the trailer’s anything to go by. Thanks to the trailer we know that there will be a battle between Captain Phasma and Finn, and she may very well get to redeem herself. Phasma recently got her own Star Wars novel, and there’s a lot of interest surrounding her character, so I wouldn’t be surprised to see her be fleshed out somewhat in Johnson’s The Last Jedi. Luke is afraid of Rey’s raw power! 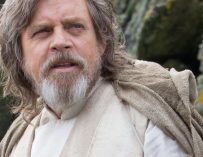 Luke Skywalker is yet another character who got short-changed in The Force Awakens. Yet, like Phasma, we know that they’ll be much more of him in The Last Jedi. 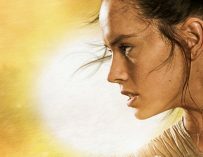 We already knew that he would train Rey in the ways of the Force, but what we didn’t know is that he’s afraid of her raw strength. In the teaser trailer he said the line, “It’s time for the Jedi to end”, which was interesting in itself, but the line, “I’ve seen this raw strength only once before. It didn’t scare me enough then. It does now,” from this new trailer brings a whole new meaning to Luke’s words. Could he believe that Rey represents a new type of Force wielder, neither Sith nor Jedi? I think so. Grey Jedi anybody…? Kylo and Rey could be just as powerful as one another. Luke’s line, “I’ve seen this raw strength only once before. It didn’t scare me enough then. It does now,” seems to be a reference to Ben Solo, a.k.a. Kylo Ren. We already knew that Luke trained Ben and that he ultimately joined Snoke on a different, darker path. 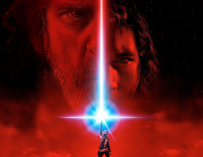 However, Luke’s words in this trailer seem to hint at Kylo sharing Rey’s raw strength in the Force, which he possibly tried, and failed, to tame in order to help him become a Jedi. That said, he could very well be referring to Snoke, yet my money’s on Kylo since the trailer and the trilogy seems to be pointing towards a big showdown between the two. I was thinking about Kylo Ren’s helmet after having first watched The Force Awakens. “Will Kylo Ren get to wear that cool helmet again?”, I asked myself. Turns out the answer to that question is yes, he will… that is, until he smashes it into smithereens. It seems as if he’s trying to sever ties to his past, including his idealisation of his grandfather, Anakin Skywalker – a.k.a. Darth Vader. However, de probably has a walk-in closet full of them, so we might get to see him don the helmet further down the line. Kylo Ren seems to be going on a difficult journey in the film and it looks as if he’ll still be as torn between the Dark and the Light sides of the Force as he was in the first film. That is a slick looking new lightsaber. Another question I was asking myself after coming out from my first viewing of The Force Awakens was, “I wonder whether Kylo managed to get his cool lightsaber before The First Order’s base was destroyed?” Well, thanks to The Last Jedi’s new trailer, we now know that he’ll be using a new, and improved lightsaber. I for one am looking forward to seeing it in action. Every kid in the world is going to want a Porg after seeing The Last Jedi, I guarantee it. These creatures are native to Ahch-To, the planet on which Luke has been spending a lot of time before The Force Awakens, and the location of the first Jedi temple. It seems as if Chewbacca will have an attachment to one of them and that it might end up becoming his new faithful sidekick, which will be nice for the Wookiee, especially after having lost his best friend, Han, in the previous movie. Star Wars has ice foxes now! Star Wars has had its fair share of strange creatures and aliens over its long history. However, The Last Jedi will introduce new creatures, such as the Porgs, but this trailer gave us our first glimpse at what have been dubbed as ice foxes, which reside on the planet Crait. Some people online have even stated that the ice foxes are cuter than the Porgs. I’ll decide which ones I prefer once the film comes out. I doubt they’ll be very relevant to the film’s plot, but it’s nice to see new creatures in the Star Wars universe. This one is more speculation than anything, however, the trailer heavily hints at Carrie Fisher’s Leia being killed by the hand of her son, Ben Solo. We already know that Fisher will not feature in the third and final movie in this new Star Wars trilogy. However, both the actor and the character deserve a fitting ending and having the General of the Resistance die in battle whilst fighting for what she believes in would be a sad, yet noble way to go. Once again, this is just pure speculation, but I wouldn’t be surprised if this does end up being the case. Snoke’s just a dude, with a severely disfigured face. There’s a particular scene near the end of the trailer in which we see Snoke’s actual face. This isn’t a hologram, it’s the real guy. We will learn more about The First Order’s mysterious leader in The Last Jedi and it looks as if he’s going to be one mean dude in this upcoming film. He’s also relatively human-like, which leads me to believe that he isn’t an alien giant, but just a severely disfigured man. Just after the scene in which we see Snoke’s face, we see Rey screaming whilst being suspended in mid-air. If you look hard enough in the background you can see a figure in what looks to be Snoke’s gold robe, which suggests that they’ll be a scene in which Snoke tortures Rey in order to unlock what he believes to be her full potential. Could there be a moment in this film where Rey turns to Snoke for answers after Luke tells her that she’s too powerful and is too dangerous to be trained? That would be an interesting twist. Another character that we didn’t get to see too much of in The Last Jedi was Oscar Isaac’s Poe Dameron. He’s certainly a person we’d like to see more of. He’s very charismatic, charming and just super cool. He also shares a close bond with Finn and many people have started ‘shipping’ the pair. That said, we will get to see more from the Resistance’s ace pilot in The Last Jedi and he’ll play a pivotal role in the Resistance. He delivers a pretty intense speech in this trailer, and I’m looking forward to seeing more Poe Dameron action. Take my hand. Together we can rule the galaxy, as husband and wife… (OK, maybe a bit too far). This is speculation yet again, but this trailer is pointing very heavily at this being the case. The end of The Last Jedi’s trailer hints at Rey and Kylo Ren teaming up. There have been many people online suggesting that Kylo is, in fact, a double agent and that he will be the one to rid the galaxy of Supreme Leader Snoke. This could very well be the case, however, I also feel that this may be a bit of misdirection on Lucasfilm’s behalf. They certainly wouldn’t want to spoil the film’s big reveal for its audience, however, they could very easily tease them into believing something that turns out to be false. Who knows. Anything could happen. Anyway, these are the 12 things we think we learned from Star Wars: The Last Jedi’s new trailer. What did you make of the trailer? Do you agree with our 12 things? Did you spot anything that we didn’t in the trailer? Let us know in the comments below. 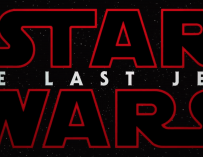 Star Wars: The Last Jedi will be in UK cinemas on December 14th. Better book your tickets now. They’re selling out fast.